And again we present an addition and an improvement to the “Sunday” plumosa cut flower series. The addition is “Sunday green”, a rich flowering green novelty that fits exactly to the series in prototype and flowering speed. Which means that this “- green” can be used in between other colours in a production plan with “Sunday” varieties. 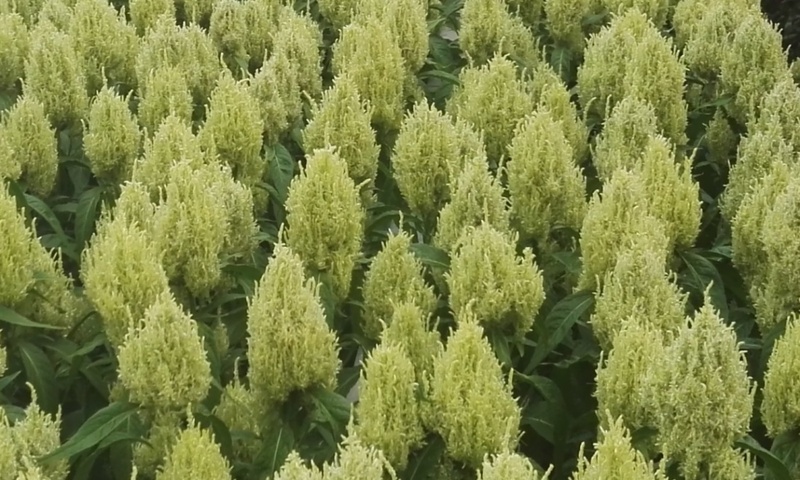 Green …… that doesn’t exist yet in Celosia plumosa and the colour is trendy and – because off the neutral colour – suitable for many mixed bunches. On the picture a view of a field in the new colour. And the improvement is “Sunday yellow improved”, a citron yellow colour that fits exactly to the series in prototype and flowering speed. 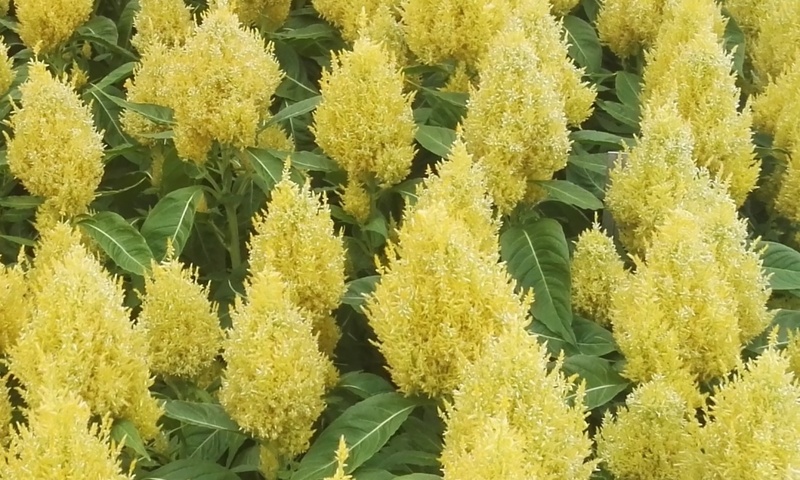 Which means that this “yellow improved” can be used in between other colours in a production plan with “Sunday” varieties. On the picture a view of a field in the new colour.